Around six weeks old I took Milo on a seven hour road trip to visit his Grandparents. 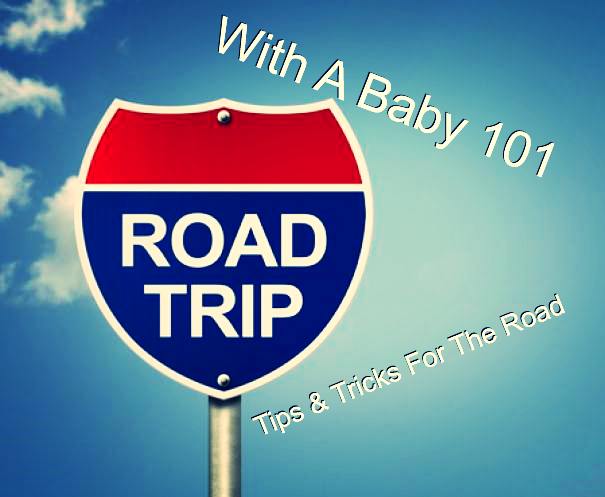 Here are some helpful tips, I compiled from my own experience, traveling with a newborn. 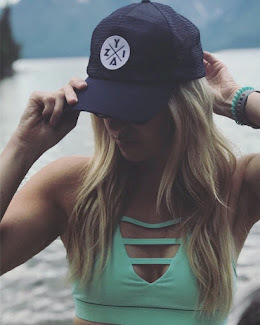 Making a packing list helped me so much. Things get hectic prior to a big trip. So having a reference guide aids in not leaving anything, or anyone, behind. I wrote down a few days before what I had to pack, adding to the list as needed. Checking things off as I went. Also, this helps loading up for the return trip home. Baby items are so tiny and with new mommy brain something is bound to be misplaced. Having an inventory sheet made sure I left with everything I brought. Packing the night before and setting everything by the door makes the morning of travel less stressful. All I had to do was load up the car and hit the road. You can also see how much you are bringing so if things that are already in the car need to be rearranged to make room then you can do so. Our trip was for six days... so with a new born baby I brought about 12 outfits. Babies make messes, it's just what they do. So extra onesies, pants and socks are a must. Being away from home for almost a week I loaded my diaper bag up with tons of extra diapers. I did not want to run out of diapers or wipes smack dab in the middle of the western countryside. 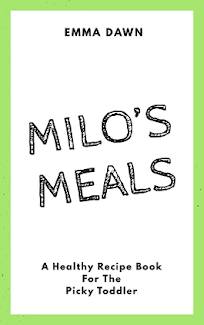 I also packed in Milo's luggage, 1 pack of each unopened wipes and diapers. Traveling with a baby, I definitely had to make more stops than usual. I planned my route on Google maps. Making sure my stops were no longer than 3 hours apart. That there was a fuel station, restaurant, or truck stop to park in. It's also important to make sure stops were 15-20 minutes long. Enough time to feed, play, change, and exercise baby. Babies get restless too. Sitting in the car for long periods of time can be hard on them mentally and physically. Letting them get active during the breaks is important. This is such a helpful product to have. 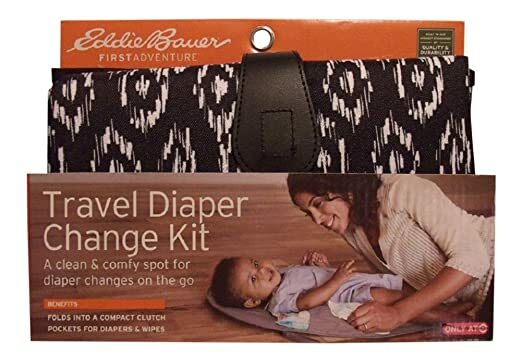 I received the Eddie Bauer Travel Diaper Changing Kit that holds a few diapers and travel packages of wipes as a gift. I use this for short trips or when I don't want to lug around my whole diaper bag. Also, my diaper bag came with one that is perfect for laying down on public changing tables. I changed many diapers in the car while on this trip. Changing mats just make life cleaner and easier. It was so easy to tell Milo knew we weren't at home, in our hotel room. Often times it would take longer for him to nap and he tends to be fussy in unfamiliar places. I made the hotel as homey as I could, by bringing some of his favorite things. His play mat and "Bear Chair" for entertainment and the Nursing Pillow we used for co sleeping. Bringing some items from home that comfort baby or he/she uses on a daily basis redirects their focus from being in an unfamiliar place to a familiar object. I hope this helps any new moms and new babies with their own upcoming travels! Leave in the comments below any baby travel tips you may have, along with any questions. That sounded like a fun, well planned trip so the grandparents could meet the prince! Thanks for sharing.